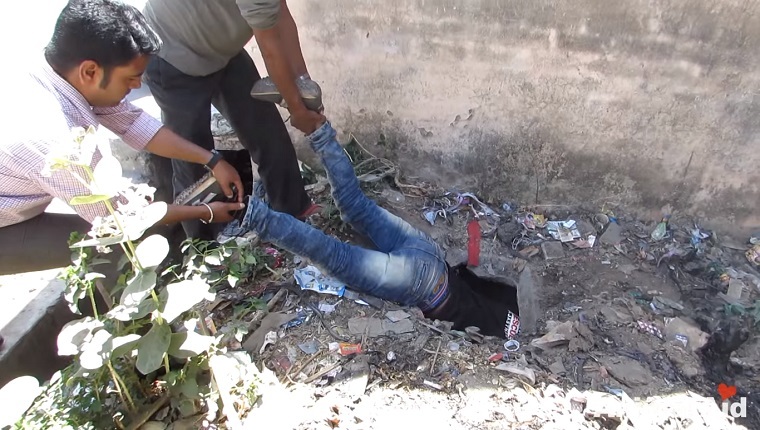 Rescue workers heard strange moans coming from an open septic tank in India, and they knew that they had to investigate. They extended their camera behind a wall to see the source of the sounds, and the images they captured are heartbreaking. A small puppy, too tired to keep swimming, kept dipping below the surface of a pool of human waste. He was clearly about to drown. When the puppy emerged, he was too exhausted to move. 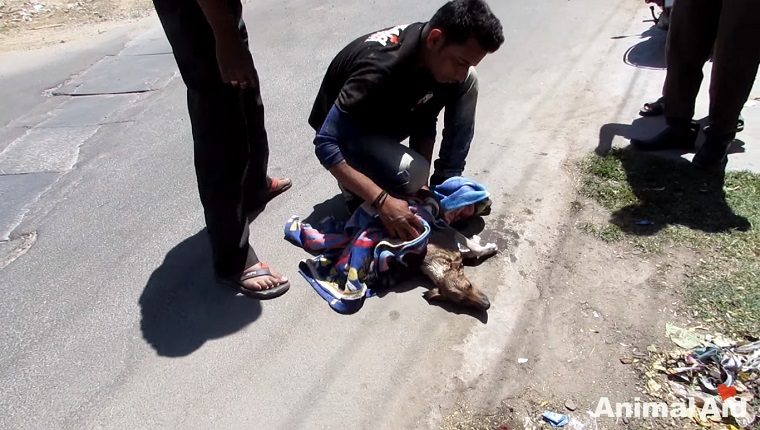 The rescuers brought him to their shelter and gave him IV fluids, and soon he was walking again. Another worker named Raj began the long process of getting the pup used to human interaction. At first the dog was apprehensive, but eventually he let Raj pet him. This puppy went from nearly drowning in waste to having a shelter with food and love. It’s a pretty incredible rescue and recovery! What would you do if you heard moans coming from a hole in the ground? 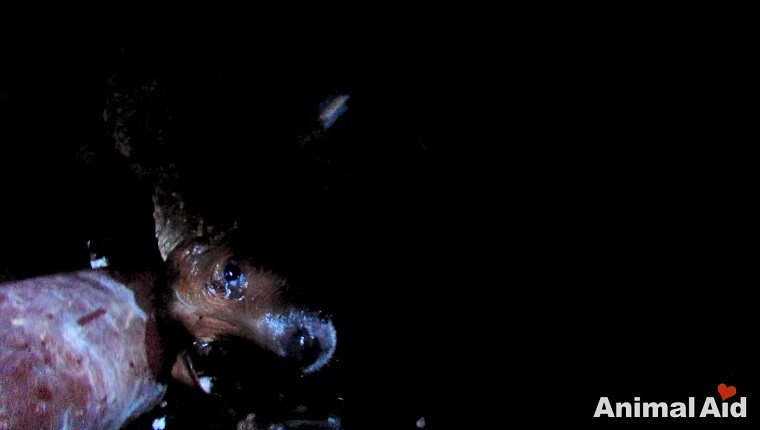 Would you reach into a septic tank to save a dog? Let us know in the comments below!